Scottsdale, Arizona, known as “the West’s most Western town,” takes pride in its rich cowboy heritage. While the Phoenix-adjacent city cherishes its past, it also strives to offer modern indulgences in cuisine, accommodations, and activities. I recently spent three days absorbing all I could about Scottsdale and its offerings—and already I can’t wait to return. When planning a trip to Scottsdale, the first step is to figure out where you’re going to stay. 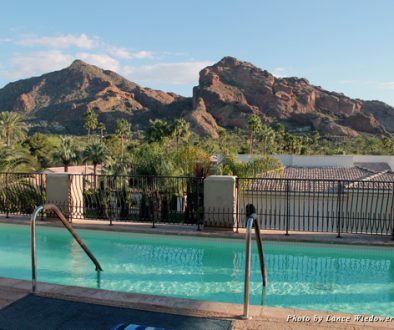 Scottsdale offers accommodations to fit any type of vacation, from hotels, resorts, and short-term rentals to bed and breakfasts, ranches, and RV parks. Families, couples, friends, and solo travelers have a plethora of options to suit any style and budget. If your trip includes a stay at The Phoenician, there’s a chance you might never venture off resort property. This place has everything: comfortable guest rooms, suites, and casitas; nine pools; a 165-foot waterslide; a 27-hole championship golf course; tennis courts; restaurants, lounges, and private dining; a retail corridor; and a spa and fitness studio. It reminded me of the hotels I used to travel to with my parents when I was younger. I’d make full use of the kid-friendly amenities—lounging on the guest room patio, getting ice cream from the on-site market, taking multiple trips down the pool slide, and ordering virgin daiquiris from the pool bar. These are things that, as an adult, I still enjoy, although there’s a little less time spent on the slide and a little more rum in my daiquiri. 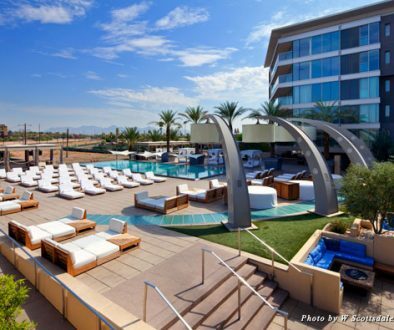 While kids staying at the Phoenician can find entertainment with the Surge Splash Pad and the Funician Club, adults can get some rest and relaxation at the Centre for Well-Being. 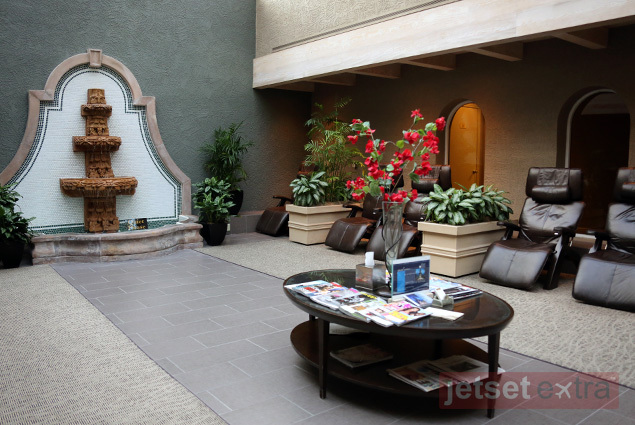 Spa treatments include holistic massage, hot stone rituals, body treatments, and facials, and guests can also take advantage of fitness classes, a full-service salon, and a Meditation Atrium. I opted to try the Papaya Quench Wrap, a 50-minute treatment that includes a de-aging body masque of vitamin-rich papaya and pineapple followed by a light massage with matching body balm. During the wrap portion of my treatment, as my body absorbed the masque in my self-made sauna, the spa therapist performed head and foot massages in order to deepen my state of relaxation. It was heaven. When it comes to dining, the Phoenician has several great options. Casual restaurants on property include the 19th Hole, the Oasis Pool Bar & Grill, and a Café & Ice Cream Parlor. There’s also J&G Steakhouse and Relish Burger Bistro. I enjoyed a lovely dinner al fresco at Il Terrazzo, which not only serves seafood flown in on a daily basis and fresh-baked bread but also makes its pastas in-house and has a butcher shop on property. From my grilled endive starter to my petit filet entrée, I could tell the ingredients were fresh and fit for the season. The meal was delicious, especially paired with a local red wine, Dos Cabezas WineWorks “Águileón,” made with grapes from Cimmaron Vineyard near Wilcox, Arizona. Il Terrazzo actually didn’t have any local wines offered by the glass during my visit, but I love to experience local products when I can so I inquired with my server. 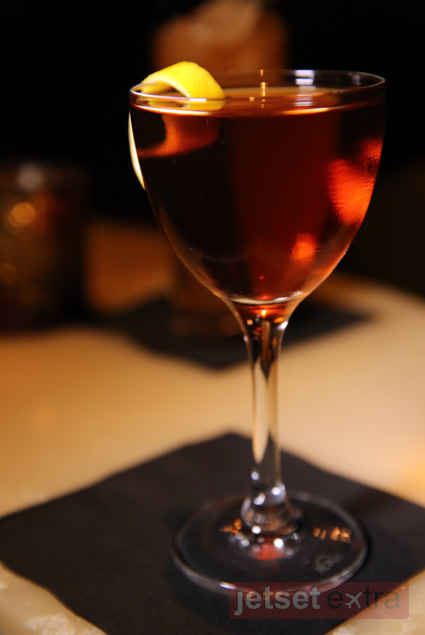 He introduced me to the sommelier, who offered to pour me a glass of Águileón from a bottle they already had open at the bar. I appreciated the server and the sommelier went out of their way to meet my request, and it proved what I already suspected: The level of service at the Phoenician is top-notch. 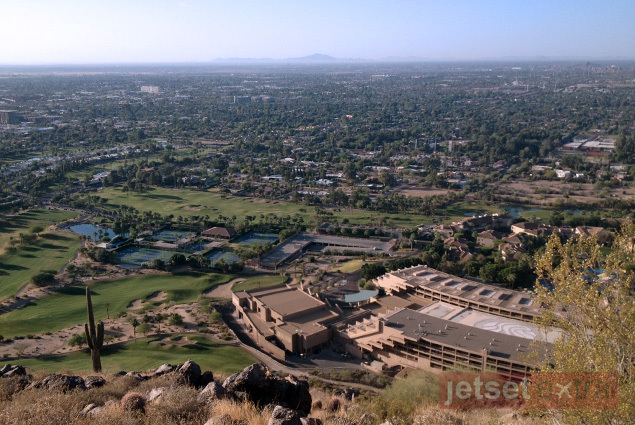 Of course, Scottsdale offers several reasons (both food-related and not) to venture off your resort property. The House Brasserie is located in the second-oldest house Scottsdale (built in 1939) and serves shareable small plates from a French-trained chef. 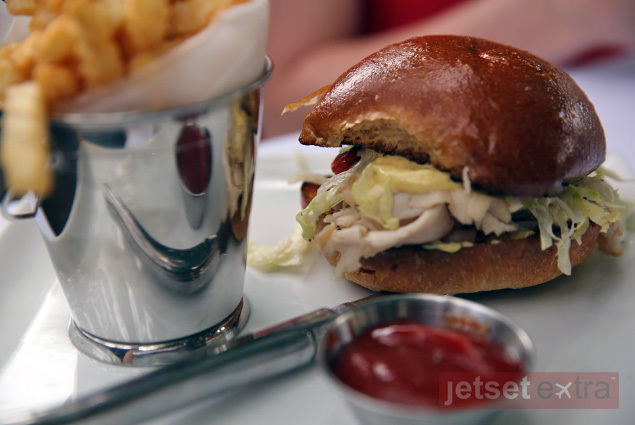 Our party of four savored a trio of domestic salumis, smoked burrata with leek and truffle vinaigrette, a house-roasted turkey sandwich with smoked gouda and pepper mayo, and a shaved pork belly sandwich topped with a fried egg. We also sampled the shaved black kale salad with feta, orange segments, and plums; the gem lettuce salad with heirloom tomato, avocado, and roasted corn; and Brussles sprout leaves with Castelvetrano olives, shaved peppers, and lemon Parmesan black pepper vinaigrette. 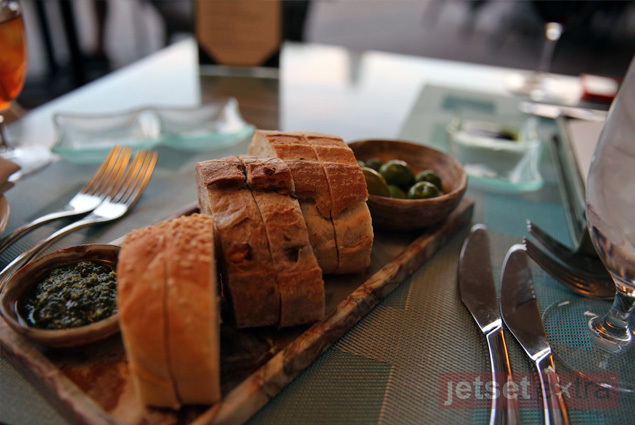 It was dish after delicious dish served on the House Brasserie’s charming outdoor patio. The restaurant, which serves lunch and dinner daily and brunch Saturday and Sunday, uses the house as its inspiration, giving diners the sense of being inside the home of a loved one. And the food keeps people coming back again and again. 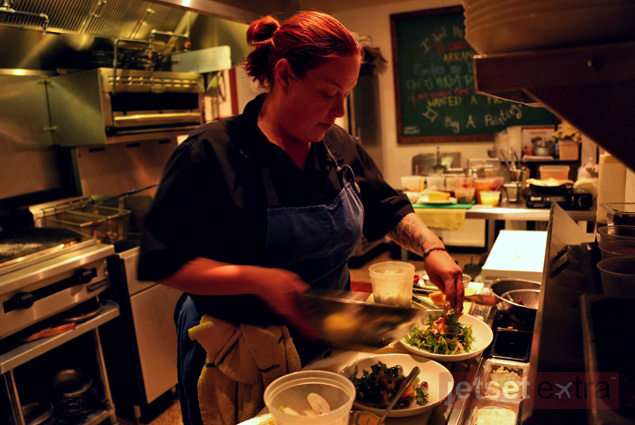 The menu changes seasonally in order to use the best ingredients possible. A seasonally driven menu can also be found at nearby FnB Restaurant. Co-owner Pavle Milic welcomed us the way he seemed to with every other diner who walked through the doors—with a huge smile and open arms. I can certainly see why this place is a local favorite. Pavle spoiled us with chef Charleen Badman’s creations—beet salad with strawberries, spicy grilled broccoli with tangerine aioli, linguini with ramp pesto and pecorino, California halibut with Colombian rice…. The creative combinations made this dinner one to remember, especially when it ended with butterscotch pudding, an item chef Charleen said she tried to take off the menu once the winter season ended, but too many loyal fans demanded its return. Pavle’s passion for food is complemented by a strong love of wine; FnB’s wine list mostly consists of bottles from Arizona winegrowers, and a shop called AZ Wine Merchants sits adjacent to the restaurant. 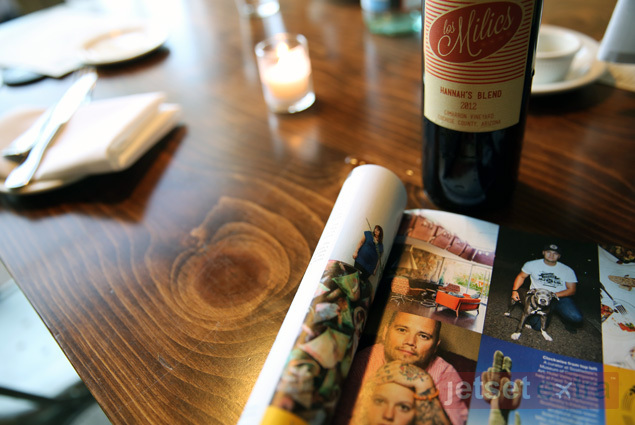 Pavle also released his own wine, Los Milics “Hannah’s Blend,” grown with the help of Todd Bostock of Dos Cabezas WineWorks. Named after Pavle’s eldest daughter, the wine is 50% Mourvedre, 25% Tempranillo, and 25% Primitivo. And boy was it delicious. Bottles are limited, but hopefully Pavle will continue to produce the wine year after year. If cocktails are more your thing, I suggest making a stop at The Mix Up Bar at the Royal Palms Resort and Spa. Using the season’s freshest ingredients, including herbs grown in a garden on property, the bar’s mixologists are trained to make unique drinks based on a patron’s likes and dislikes. The Mix Up Bar had a fun vibe, with live music and a nightlife buzz that echoed throughout the bar’s dark wood and residential-inspired interior, and it was even more entertaining to watch the mixologists in action as they prepared for me a perfect drink. With all the excellent dining options available, it’s a good thing I found it easy to balance culinary indulgence with some physical activity. 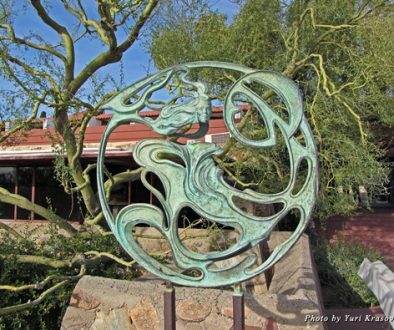 Even though the Desert Botanical Garden’s 140 acres are set on mostly flat ground, I got in quite a hike wandering through each of the interesting and unique exhibits. I passed through the Ottosen Entry Garden to the main Desert Discovery Loop Trail, pausing occasionally as I wandered the cactus and succulent galleries to read the informational placards and learn a little bit more about plants both native to the area and brought in from other parts of the world. 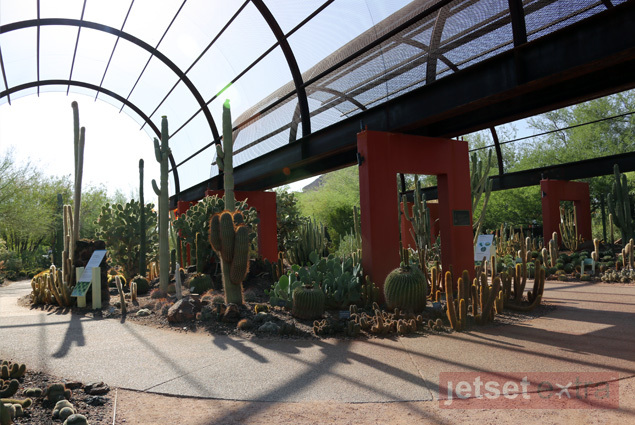 The gardens feature several additional loop trails, and special exhibits highlight plants such as agave, yucca, and wildflowers. For a true hike, I had to look no further than my own hotel. The Phoenician sits right at the bottom of Camelback Mountain, and the resort offers guided hikes on select mornings throughout the week. I met my guide and a few other resort guests at 6 o’clock one morning to tackle the less strenuous of Camelback’s two trails. While this trail is easy enough to follow without a guide, I enjoyed hiking with someone who knew the lay of the land and could point out landmarks as we climbed. The view from Camelback was quite beautiful, but the one from a Rainbow Ryders hot air balloon was even better. This was my first-ever time in a hot air balloon and, although I wasn’t too happy to be out of bed before dawn, it was worth it to experience the quiet calm of the excursion, floating thousands of feet in the air in the early morning. Upon landing, our pilot produced two bottles of champagne. One, he explained, was for us to enjoy as a celebration of a successful flight, and the other was reserved for the landowner, in the event we disturbed him or her when touching down at our landing site. According to legend, hot air balloon pioneers in France carried champagne in their baskets to offer to angry or frightened spectators, and the tradition has been honored for more than 200 years. Our champagne toast just so happened to mark the end of our time in Scottsdale, and I raised my glass not only to a successful flight but also to a successful discovery of this Arizona town. 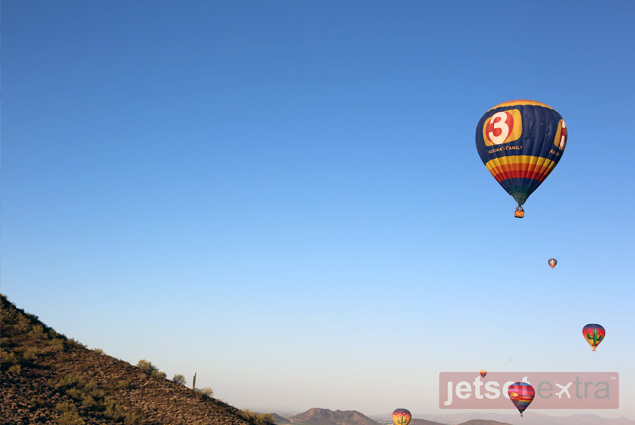 The hotels, the food, the people all reflect the essence of Scottsdale and make the town a special place to visit.